On our way to the Temple of Zeus we will pass by the Hadrian’s Arch, located in Amalias Avenue which has a height of eighteen meters. Next we visit the Panathenaic Stadium and then head to the Tomb of the Unknown Soldier where you can take photos. Our tour will continue with our visit to the National Garden and to the architectural magnificent buildings of the Athens Academy, University and National Library. *The price does not include the entrance fees of the archaelogical sites. 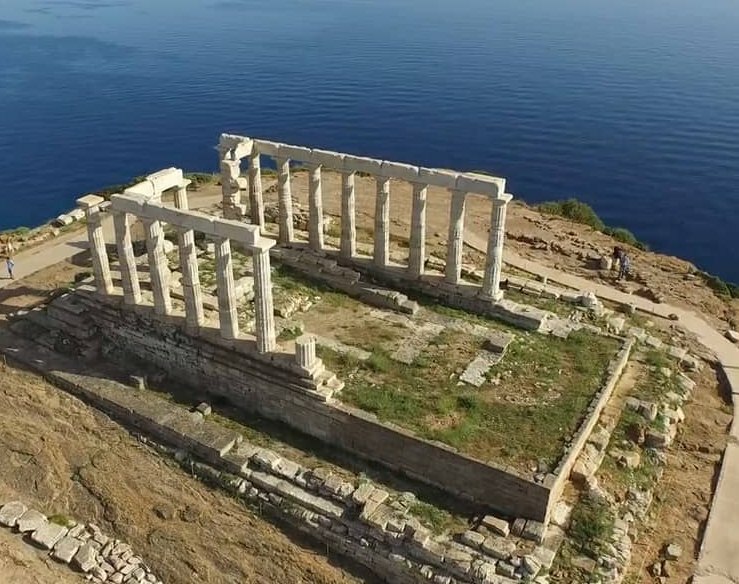 After the tour of Athens is completed, we will depart for Cape Sounion – an area with spectacular view located 60 km away from the city of Athens. 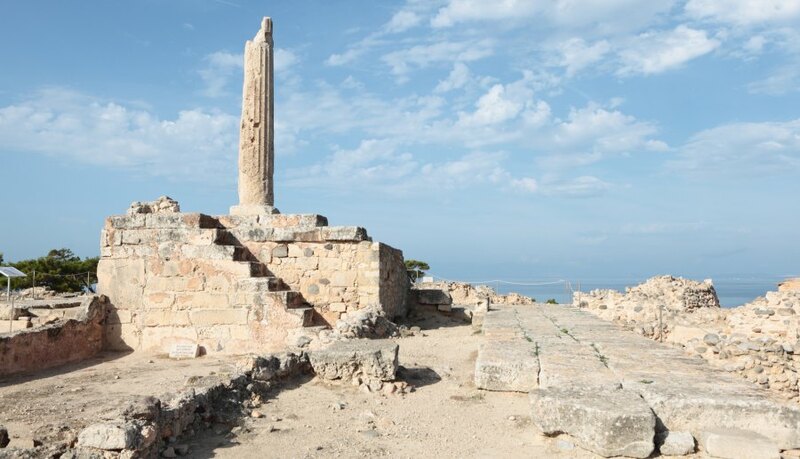 Arriving at Cape Sounion, you will have the opportunity to visit the Temple of Poseidon. The Temple has been built at a unique spot where on a sunny day you can see at least seven islands. If our time allows, you can enjoy stunning sunsets while enjoying dinner in one of the most beautiful parts of Attica. Then you can relax and enjoy the trip back to Athens. The museum was built in 1931/32 by the architect W. Stuart and extended east in 1950. The museum contains collections of prehistoric findings, various items ranging from the Geometric to the Hellenistic period, Roman and Byzantine artefacts, archaeological findings from Asclepius Corinth, and a collection of sculptures and signs. Upon our departure from the Archaeological Museum we will visit the Ancient castle of Corinth on the top of the mountain above the old town. 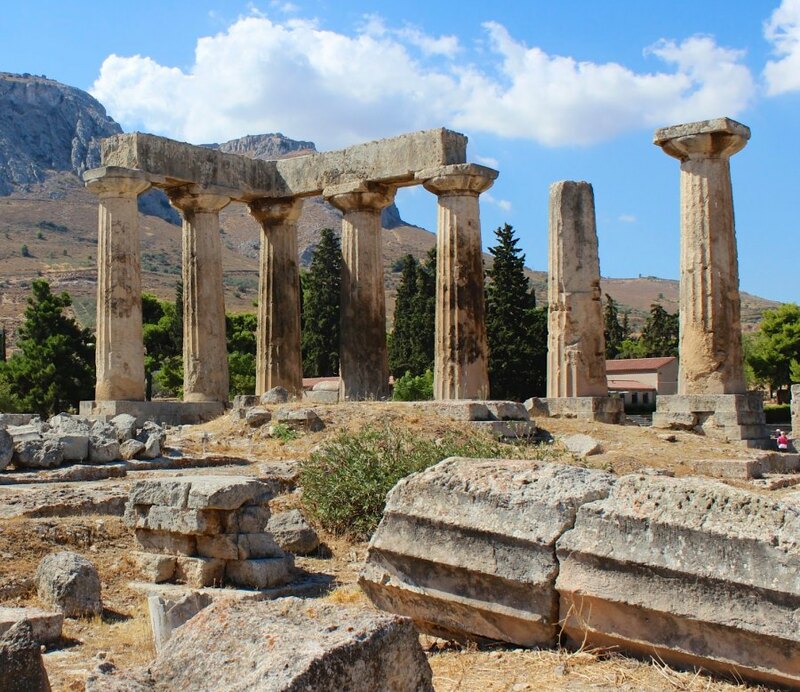 Finally, before we begin our journey back to Athens, you can have dinner in one of the many picturesque restaurants in the area of Ancient Corinth. In the full day Aegina tour you have the opportunity to travel by boat in a small period of time to one of the Argosaronikos’ islands. Our journey begins with the departure from the Port of Piraeus to the Port of Aegina by ferry. The tour begins with the visit in the Temple of Afaia (Godess Athena) which is estimated to be built around 500-490 b.c. The temple is dedicated to Godess Athena and is located 29 kilometers southwest of the Parthenon temple. If the weather permits, you will be able to see the temple of Poseidon in Sounion. There was a myth saying that the three temples (Afaia, Parthenon and Poseidon) formed an isosceles triangle. 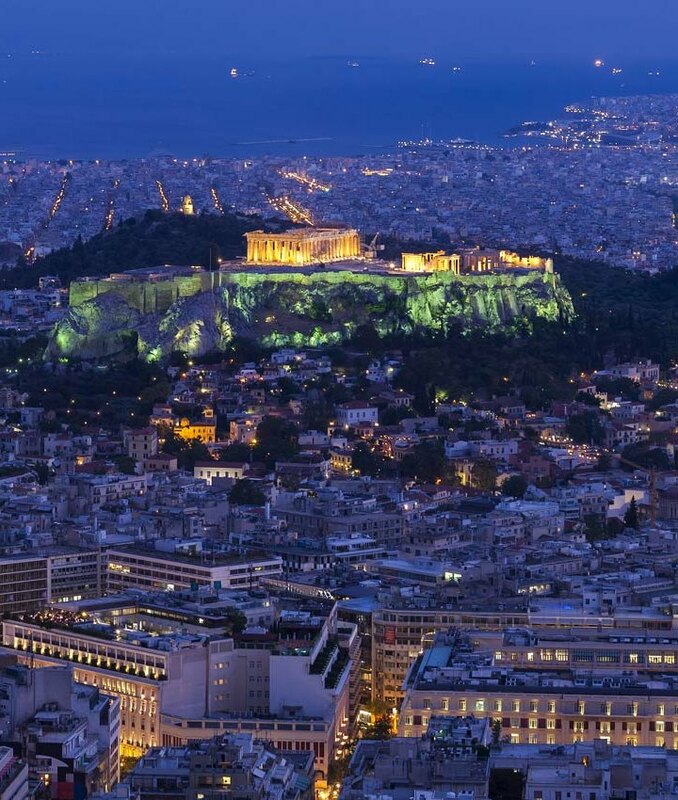 The temple is considered to be a top creation of the archaic architecture and is believed to be the exemplar which inspired the architects, Iktinos and Kallikrates to build the Parthenon. Our next destination is the Holy Temple of St. Nektarios which is one of the greatest temples of Christian Orthodoxy. 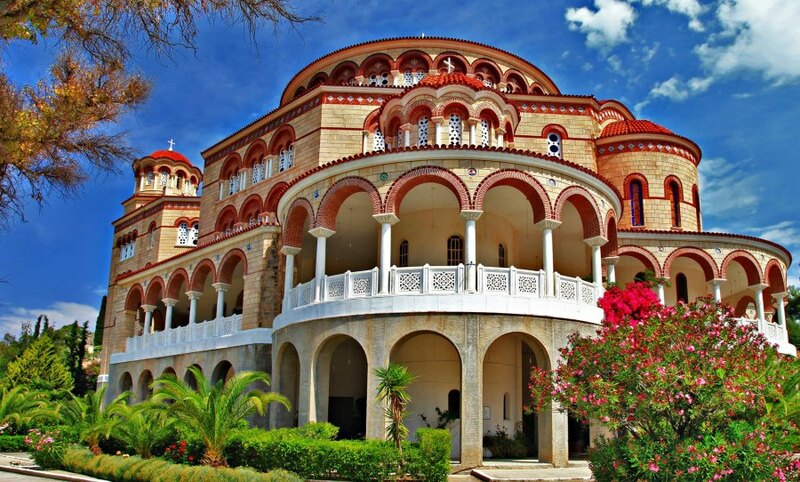 The Monastery of St. Nektarios was built around 1904-1910. The total capacity of the temple along with the peristyles can accommodate up to 9.000 people. Our final destination is the modern harbour of Aegina where we have the opportunity to see a place that stirs the interest of the visitors, the Kolona. The urban area was named after the Kolona, and you can regularly hear people talking about the temple of Kolona. 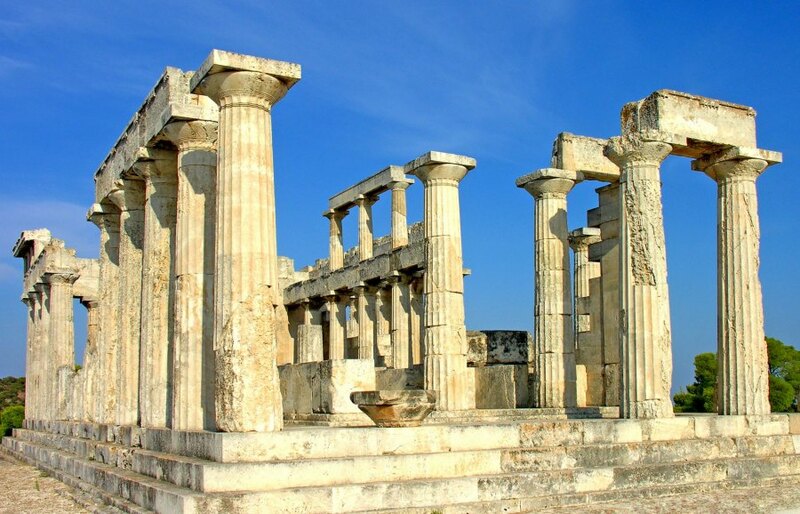 In fact, the temple is dedicated to Apollo who was a point of great interest in Anienct Aegina. 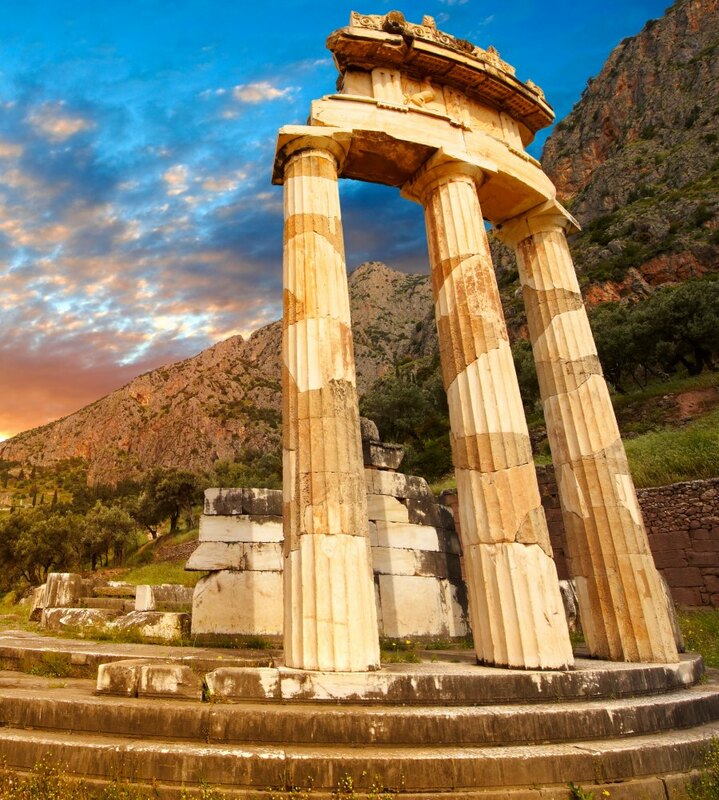 The temple of Apollo’s architecture is Doric such as Parthenon’s and was built around 520-500 b.c. The Museum is located close to the temple which exhibits findings from the temple of Afaia, the Hercules statue and the Sphinx of Aegina. As our tour reaches its end, you can relax and enjoy the sea having a lunch in a traditional tavern or have a coffee break. The Museum of Delphi hosts spectacular ancient findings as the Charioteer, the Sphinx and the statue of Antinous. After our visit to the archaeological site you can have lunch and then we will begin our return trip. On our way to Athens, we will pass through the village of Arachova to see the magnificent view. The village is built on the southern slope of Mount Parnassus and is known for its hand-woven carpets, rugs and the famous wine and cheese. In Nafplion we can see the Venetian Fortress, Medieval Palamidi and the fortified islet of Bourtzi that ”floats” in the middle of the bay. Then we will continue our trip to Mycenae through Argos, the oldest inhabited city in Europe. At the ancient site of Mycenae will see the Lion Gate, the Cyclopean Walls and the Tomb of Atreus. Finally, we return to Nafplion for dinner before we begin our journey back to Athens. 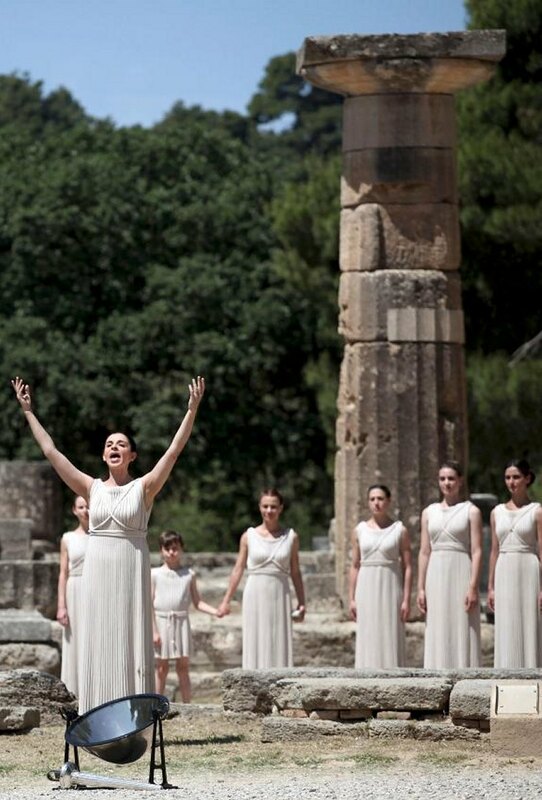 The ancient Olympia full day tour starts from Athens, driving via coastal highway towards Peloponnisos. While on route you will see the area of Saronic Gulf where the famous Naval Battle of Salamis took place in 480 B.C. between the Greeks and the Persians. Our first stop/visit is the famous Isthmus of Corinth. Corinth is located eighty kilometers west of Athens on the south side of the Isthmus, a narrow neck of land connecting the Peloponnese to mainland Greece and separating the Corinthian Gulf from the Saronic Gulf and finally the Ionian Sea from the Aegean Sea . On the way we’ll see coastal towns and villages Like Corinth , Xilokastro , Aigion, Diacophto ,Patra etc . Also on the way at your own order we can stop for coffee in one of the many points we’ll meet on the way . 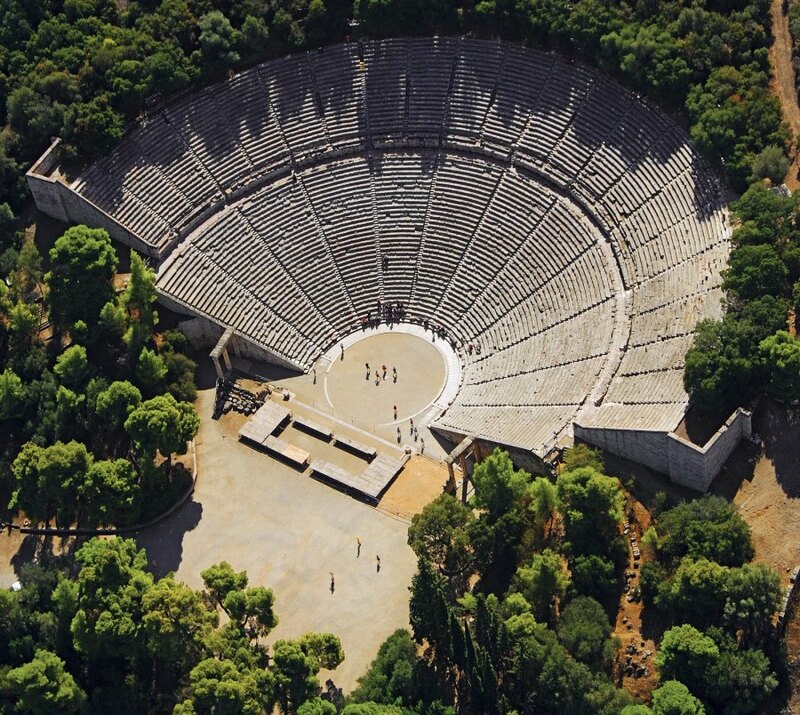 After 3,5 hours driving we’ll arrive to Ancient Olympia .You will visit the unique archaeological area of Ancient Olympia where the first Olympic Games took place from the year 776 B.C. to 393 A.D . The Olympic Games were held every four years, in honor of the god Zeus . Amongst decades of monuments, you will admire the Temple of Zeus, the Temple of Hera, the Philipeion, the Palestra, the Ancient Stadium, the Ancient Gymnasium, the Prytaneion, the Bouleuterion and the Leonidaion. Your knowledge will be complemented with the visit of the archaeological Museum, one of the most important museums in Greece with permanent exhibition of findings from the excavations, dating since prehistoric times. After your visit to the archaeological area we stop for Lunch to one of the traditional taverns. After we start the return trip to Athens.